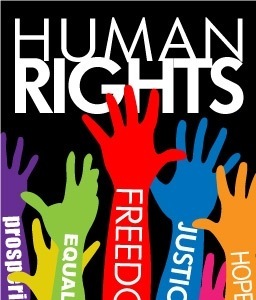 While not a core content topic on its own, some basic understanding of human rights is useful for the General Paper. It can help expand discussions of the role of governments or develop points for essays on crime and punishment, or even the role of humanitarian aid. So what are Human Rights? Who defines it? How does the media and the increasing exchange of culture affect this important area? Arguably, if there is no universal culture, there can be no universal rights. So who defines human rights? Implicit in this is a series of broad, culturally grounded views. Historically, in a number of non-Western cultures, individuals are not given rights in the same way as in the West. Critics of the universal idea of human rights contend that in the Confucian and Vedic traditions, duties are considered more important than rights, while in Africa or Asia, it is the community that protects and nurtures the individual. It is argued that in most African or even Asian societies, political decisions have been made through group consensus, not through individual assertions of rights. These cultural differences, assuming that they are real, have practical implications. Many people in developing countries argue that some human rights are simply irrelevant to their societies – for instance, the right to political pluralism and inevitably, the rights of women. It is not just that some societies claim they are simply unable to provide certain rights to all their citizens, but rather that they see the “universal” conception of human rights as little more than an attempt to impose alien Western values on them. Also, inseparable from the issue of tradition is the issue of religion. For religious critics of the universalist definition of human rights, anything that is not based on values that are symbolized by God and sanctioned by the guardians of the various faiths, cannot be universal. Critics argue that the developing countries often cannot afford human rights, since the tasks of nation building, economic development, and the consolidation of the state structure to these ends are still unfinished. Authoritarianism, they argue, is more efficient in promoting development and economic growth. ( This is of course a very debatable point! More of this will be covered when we discuss issues such the role of governments) This is the premise behind the so-called Asian values, which attributes the economic growth of Southeast Asia to the Confucian virtues of obedience, order and respect for authority. . . .